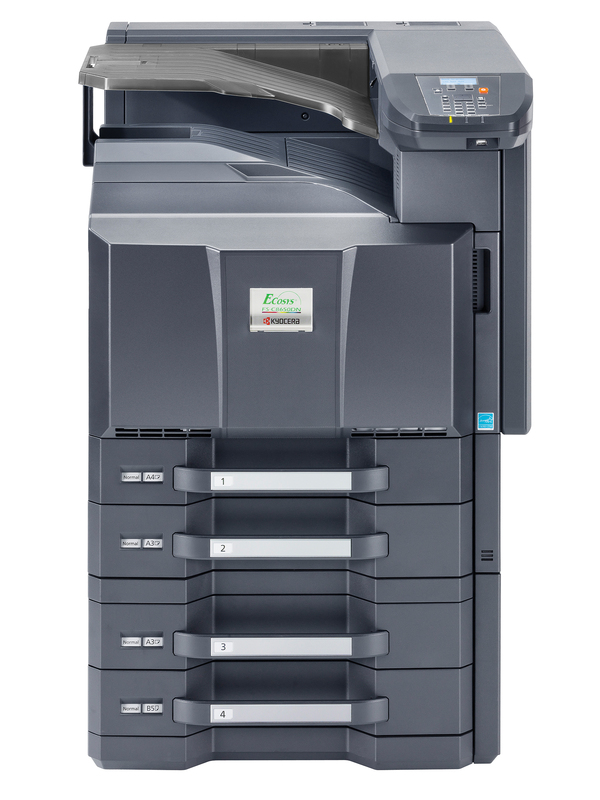 Kyocera’s latest technology, the FS-C8650DN offers 55PPM black and 50PPM color printing with an array of paper and finishing options. Using Kyocera’s Micro- Particle toner for superior image quality, standard 1GB of Printer memory and a standard 160GB Hard Disk Drive, your print productivity will be at an all time high. The class leading 600,000 preventative maintenance interval and 225,000 page maximum monthly print volume gives you the capability to meet high volume tasks when you need it. The standard 1,150 page and up to 7,650 page paper capacity from up to 8 paper sources provides wide media flexibility. Multiple finishing options from a 1,000 page stapling finisher, up to a 4,000 page finisher featuring optional booklet /tri-fold are available. Both finishers also feature optional 2 and 3 hole punch. Also offered is an optional 7 bin mailbox and Data Security Kit.